WATERBURY, CT (April 5, 2019) – Post University® has announced James Beard Award-winning Chef Michel Nischan will serve as the keynote speaker during its 129th annual spring commencement. The undergraduate and graduate student ceremony will be held at 10:00 a.m. and the online undergraduate student ceremony will be held at 3:00 p.m. on Saturday, May 11 at the historic Palace Theater. A four-time James Beard Award-winning chef, Nischan boasts over 30 years of advocacy work on providing a healthy and sustainable food system. He is Founder and CEO of Wholesome Wave, Co-Founder of the James Beard Foundation’s Chefs Action Network. He was instrumental in securing $100M for Food Insecurity Nutrition Incentive (FINI) grants for the food equity field in the 2014 Federal Farm Bill, which was recently expanded to $300M in the 2018 Farm Bill to become a permanent part of all future farm bills. 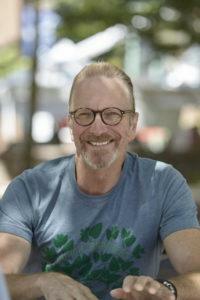 He’s also the author of three cookbooks on sustainable food systems and social equity through food. A lifetime Ashoka fellow, he serves as a director on the board of the Jacques Pepin Foundation and on the advisory boards of Chef’s Collaborative, Modern Farmer, Good Food Media Network and The Culinary Institute of America. The James Beard Foundation honored Nischan as the 2015 Humanitarian of The Year. The Spring 2019 commencement ceremony will mark the first time Post University will hold its graduation exercises at the historic Palace Theater, located at 100 East Main Street in Waterbury, CT. Located a few blocks from Post Downtown, the move to host commencement at the Palace Theater is another way we are showing our commitment to the revitalization of Downtown Waterbury..
Based in Waterbury, Connecticut, since 1890, Post University® is known for its innovation and focus on providing every online and on-campus student an extraordinary educational experience with an unmatched level of personalized support. Among the first in the nation and the first in the State of Connecticut to offer full degrees online, Post fuels the personal aspirations and career goals of its students with inventive and robust learning technologies that deliver in-demand undergraduate and graduate degree programs, small class sizes, individual attention, and customizable degree concentrations. Recognized for its Honors Program, NCAA Division II athletics, and its pioneering role in online education for more than twenty years, Post University is licensed by the Connecticut Office of Financial and Academic Affairs for Higher Education and accredited by the prestigious New England Association of Schools and Colleges (NEASC). Its award-winning Malcolm Baldrige School of Business programs are nationally accredited by the Accreditation Council for Business Schools and Programs (ACBSP). Post is ranked among the best by U.S. News & World Report. Learn more about how Post Makes It Personal™ by calling 800.345.2562 or visiting www.Post.edu. For useful consumer information go to https://post.edu/consumer-information.